Commercial Lease Termination Agreement is an agreement between the Landlord and the tenant. 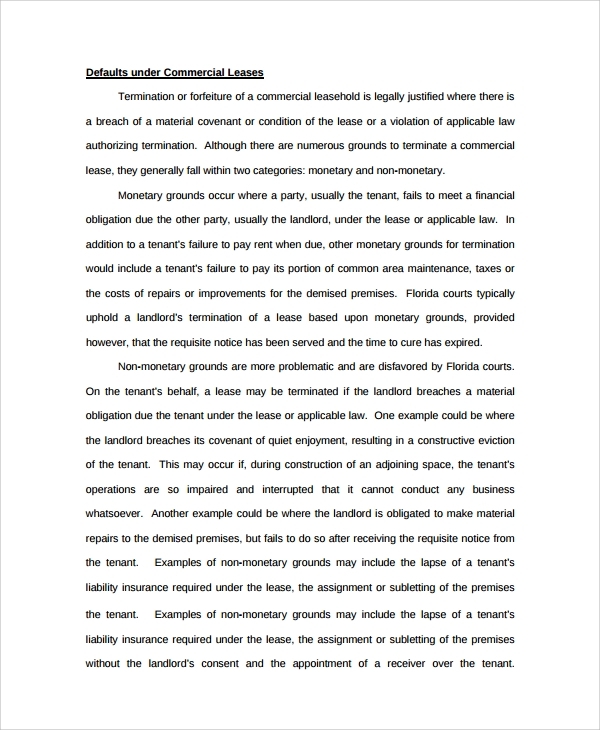 The period of the lease of the property is mentioned in the lease termination agreement. The details such as the contract date, the first amendment, and the premises are stated in the agreement. Lease Agreement is to indicate that both the parties agree to terminate the contract, and the premises that were under the lease will be returned to the landlord before the expiration of the lease date. 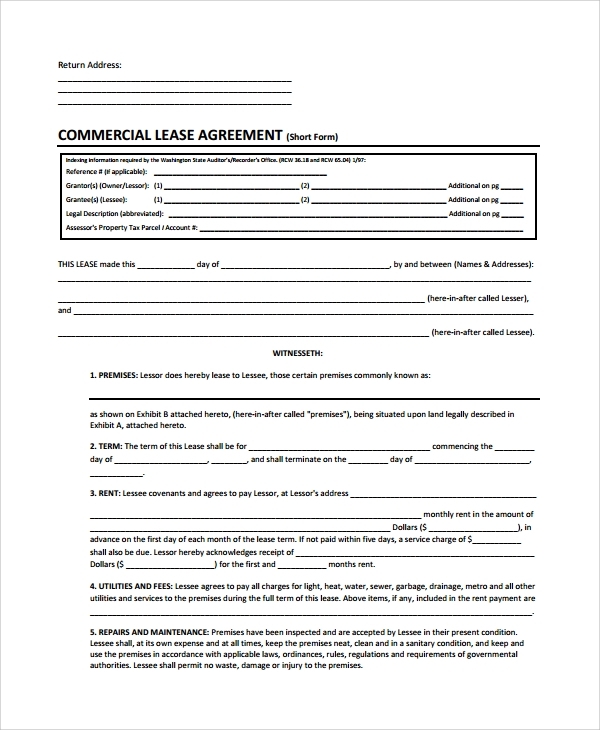 The business lease agreement is the contract used while renting the property for business. It is also known as commercial rental agreement. 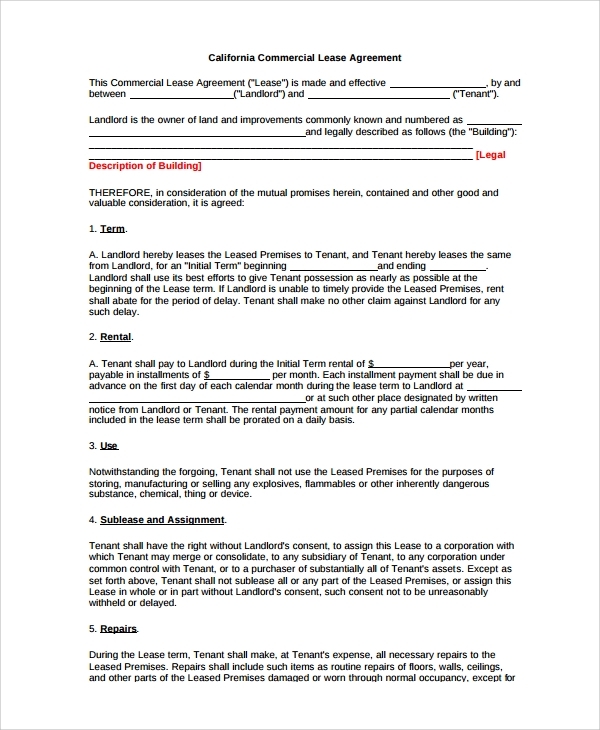 The details of the landlord, tenant, and the property are stated in the agreement. A complete feature of the premises is specified to avoid any sort of uncertainties. 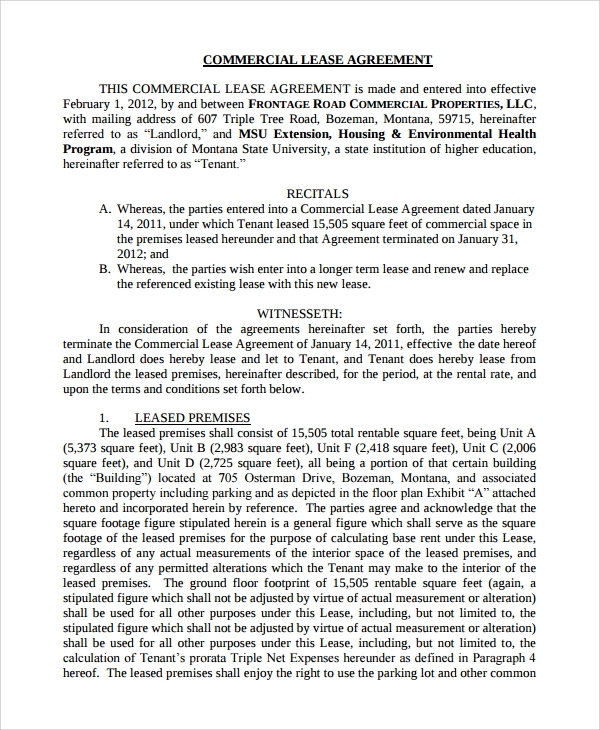 The lease, the beginning date of the term, the end date of the term are noted in the agreement. 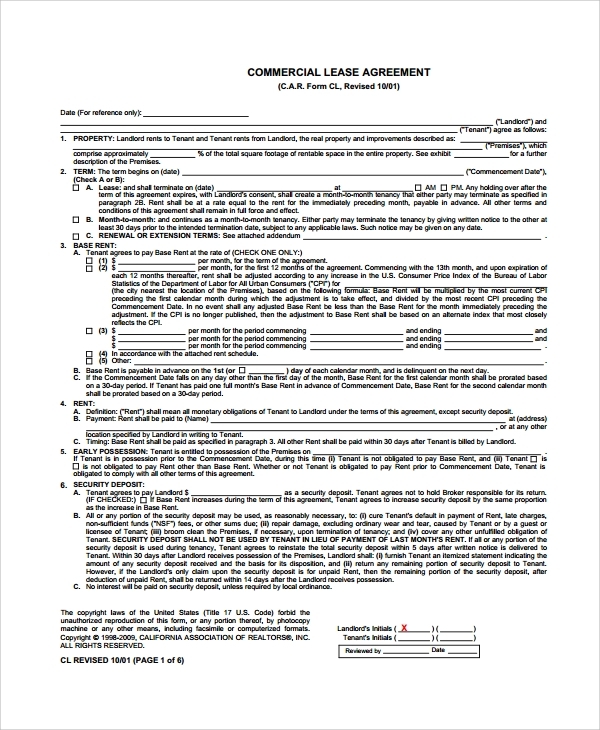 Grant of lease, lease term, commencement date, extension, determination of rent, security deposit, taxes, construction and completion, obligations for repairs, tenant’s covenants, indemnity by tenant, use of property by tenant, signage, insurance, damage to demised premises, condemnation are discussed with the help of Sample Commercial lease termination agreement. The road commercial lease termination agreement is regarding the frontage road commercial properties. 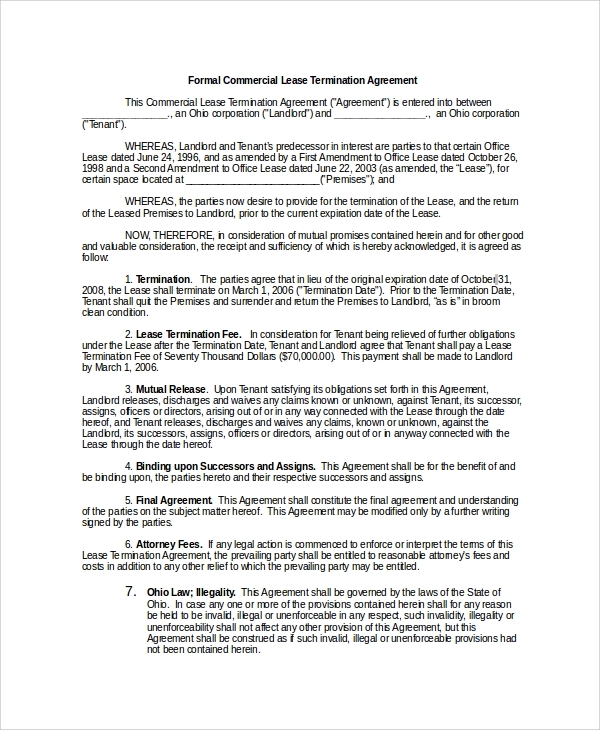 According to this agreement, the leased premises will enjoy the right of using the common areas of the building and the parking lot with other tenants of the building. The common areas will be believed trimmings to the leased premises, but such spaces will not be deemed part of the leased premises. 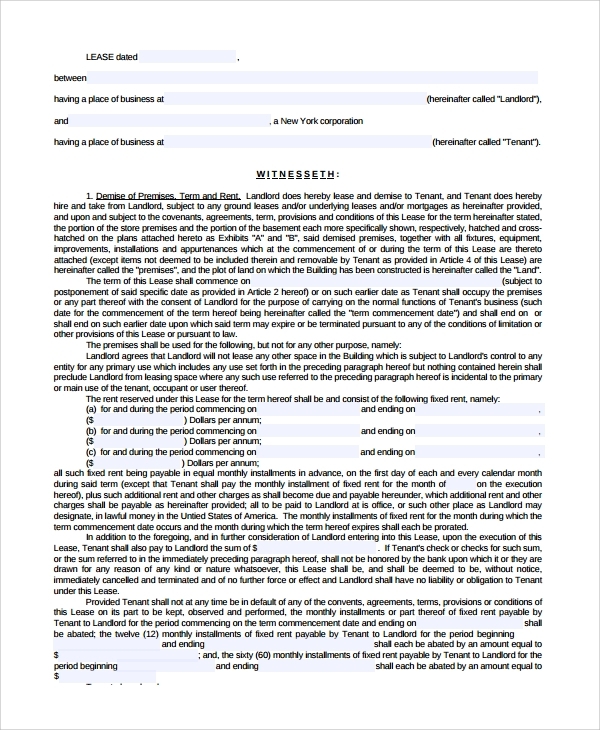 Premises, term, rent, utilities and fees, liens and insolvency, subletting or assignment, accidents and usability, costs and attorney’s fees, subordination, no waiver of covenants, surrender of premises, binding on heirs, successors and assigns, notice are specified in the Short Commercial Lease Termination Agreement. The date and the year are affixed by the witness and the official seal. 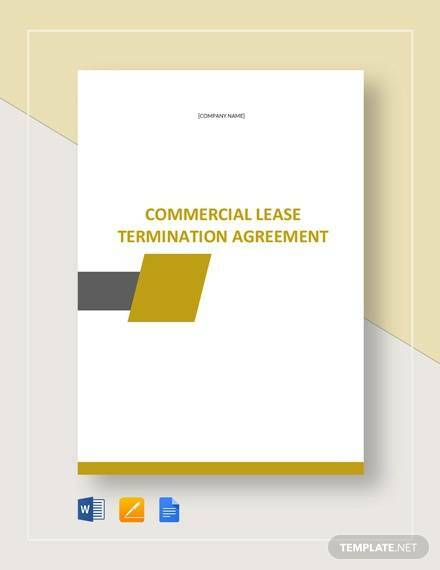 When do I Need a Commercial Lease Termination Agreement? 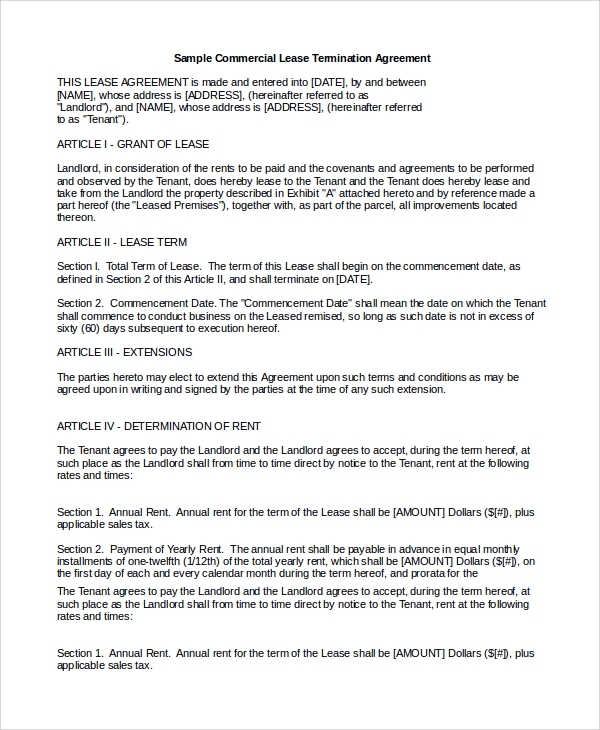 The Lease Agreement template is available in Word and PDF file. The documents are customizable and print ready. The templates have 99.99% success rate and the documents hold high compatibility with both lower and upper versions. The templates are easy to download and come with an instruction file.